Mobile apps pop up as the new tool these days, which wonderfully hooks the new generation. With more than half of the internet users have switched to mobile devices, marketing over mobile phones is no more an exception. Whatever business you deal with, a smart mobile app can drastically boost your conversion. In other words, it’s a time to go mobile and chasing your consumer where they’re largely being found. Why choose Mobile Application Development Service of IS Global Web? Our experienced mobile app developer are proficient in developing or building mobile applications for all available operating systems (OS) including- iOS, Android, Windows Phone, Blackberry and other mobile based technologies with the specific focus on HTML5 solutions. We employ the experienced team of mobile app developers who deliver solutions that are wonderfully catering to majorly all the purposes whether communication, social networking, business or entertainment. 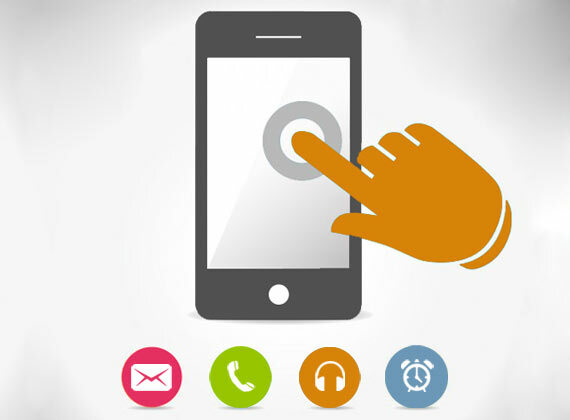 Since it’s a mobile age, it’s mandatory to go mobile with advanced mobile solutions. Whether you want a fresh one or just require a little tweak or twists to your existing mobile applications, we do it all making it better and improved. We are open to building any kind of mobile based application for your business and personal needs. So why don’t we just sit and talk to take your business to the next level by grabbing millions of users searching out for your products/services via their mobile devices. If you are in need of any kind of mobile apps solutions or looking ahead to customize the existing one, let us know to get your demands furnished. Our mobile app developers give a shape to your ideas. You have it, we make it!